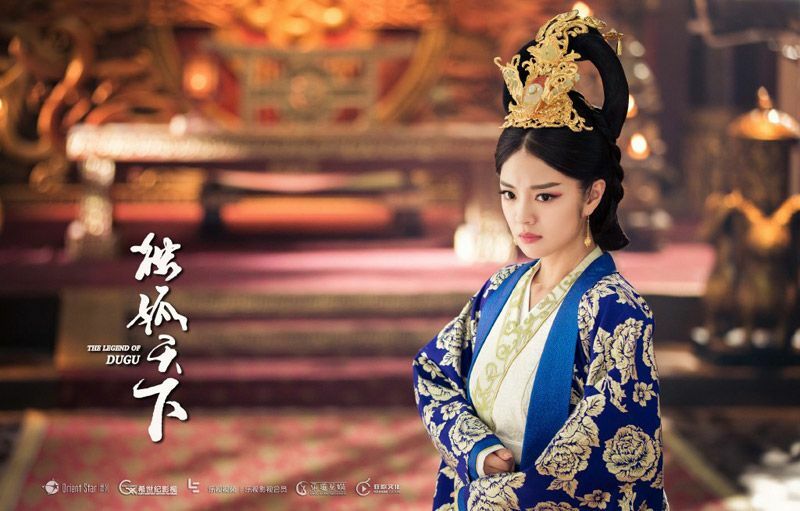 Our young queen, Dugu Qieluo, known as Empress Wenxian (文獻皇后) of the Chinese Sui dynasty. Zhang Dan Feng as Emperor Wen. He married Dugu young and reportedly stayed loyal to her until she passed away, having the least number of concubines among the Emperors. Ady An perfecting her glare as the not-so-nice second lead, elder sister. Sigh. Hey there Ba Ye. Going back in time a lot lately? 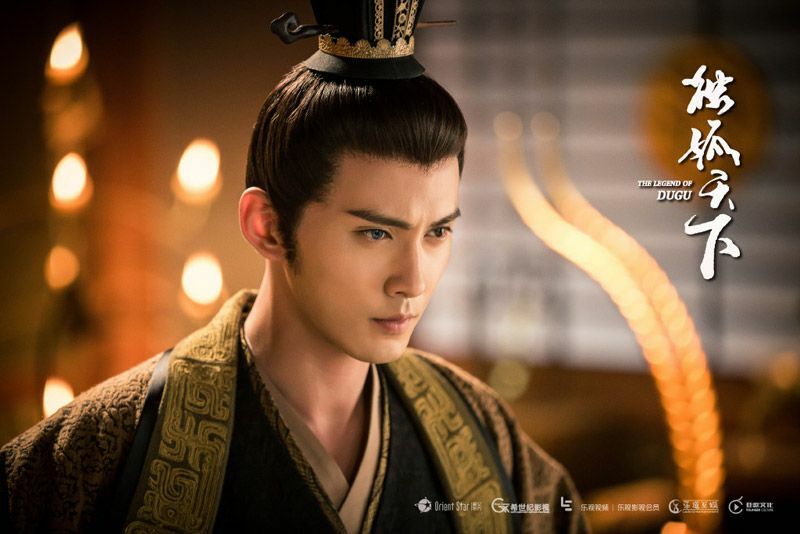 Actor Ying Hao Ming. Our OTP with their kids. Love what they are wearing!! 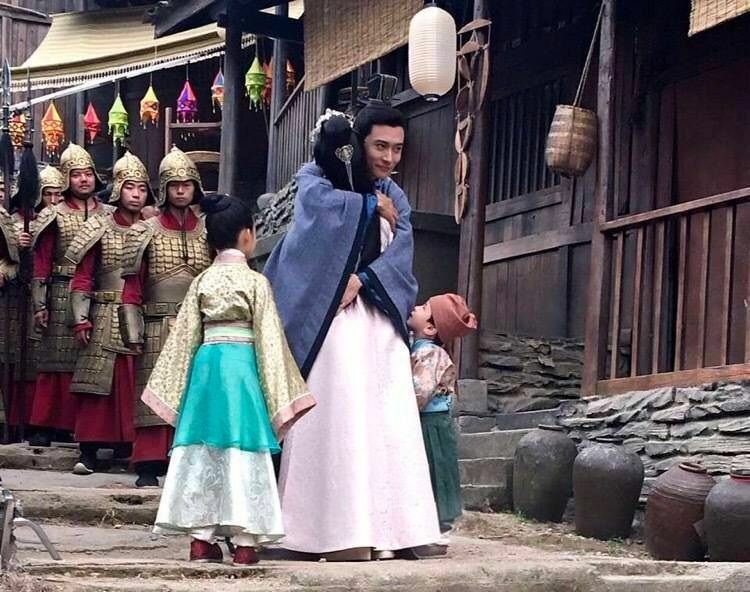 From the writer of Fighter of the Destiny and Female Prime Minister (Zhang Wei) and director of The Legend of Fragrance and Liu Shan Men (He Shu Pei), The Legend of Dugu (独孤天下) is still filming. 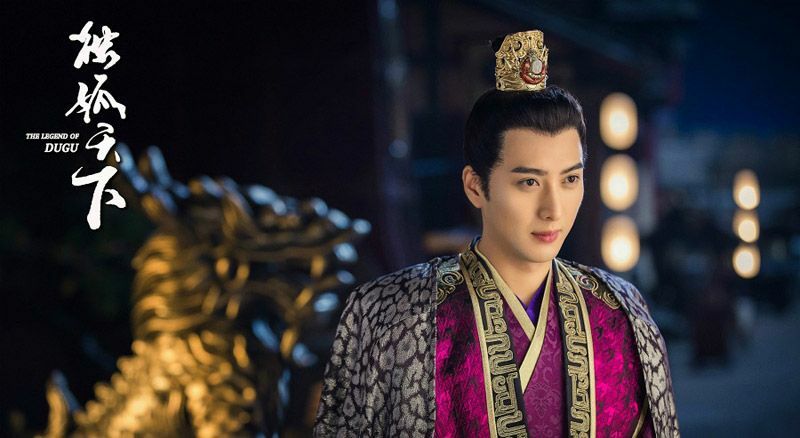 This entry was posted in Entertainment News and tagged Ady An, Cdrama, Hu Bing Qing, Jones Xu Zheng Xi, Li Yi Xiao, The Legend of Dugu (独孤天下), Ying Hao Ming, Zhang Dan Feng by Kappy. Bookmark the permalink. Yes, I love Hu Bing Qing. And I cant wait this drama since the man is loyal to his wife. Lol btw how many episode this drama? Loyalty is the best policy isn’t it? 😉 Some sites list 40 episodes. 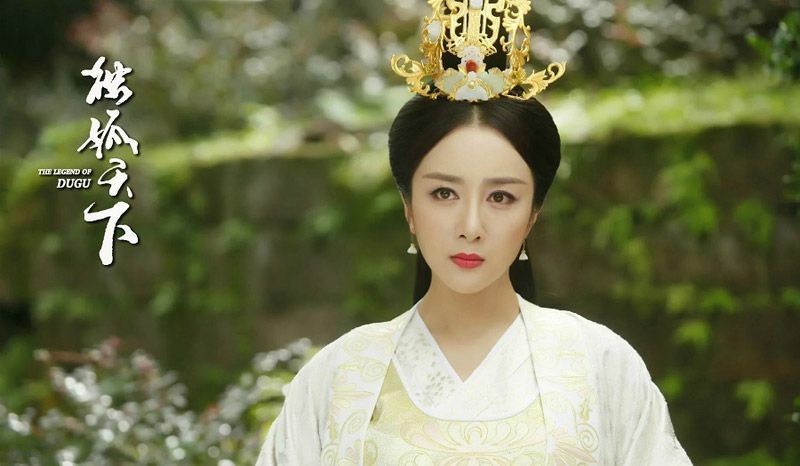 I don’t see the appeal of Hu Bing Qing and am very confused as to why she is getting all these leading roles. Since you love her, can you tell me what it is that you like about her? Maybe, I can see the light too. Wasn’t Zhang Dan Feng also in a drama with Chen Yao recently? Seems like his recent leading ladies are a decade younger than him. 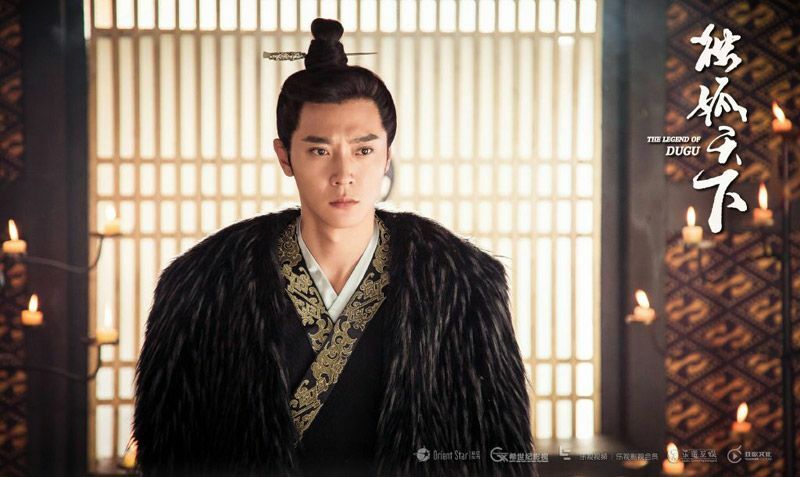 I just hope this has a good plot or else it would just end up like another palace drama with petty cat fights. The extras should have better costume fitting. The soldier’s helmet is oversized and askew. Wait! When did Ady An become second lead material? This is a shocker for me. Well I guess she’s challenging herself with the evil second lead type of role. Andy looks great! 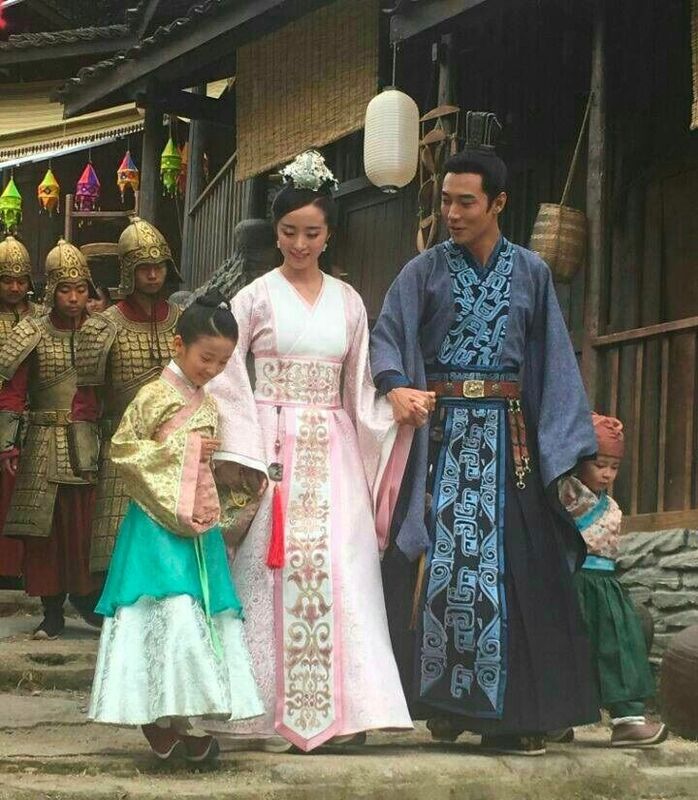 Good chemistry with Hu Bing Qing from the stills, but I’d like to see the trailer. 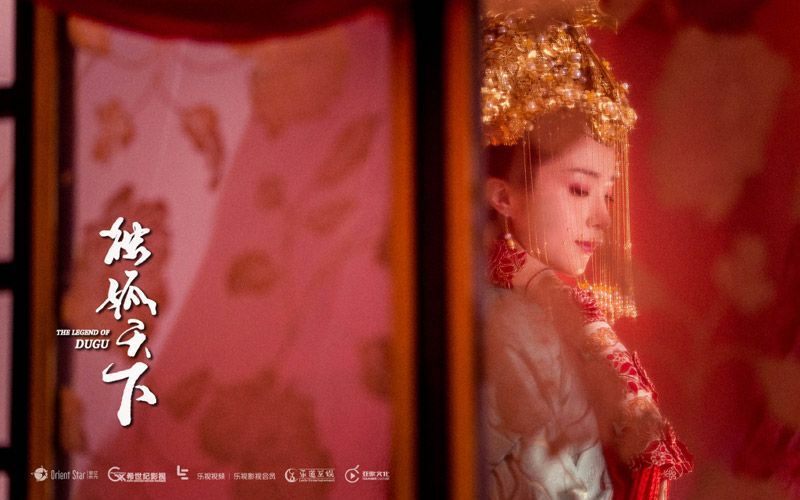 I’m actually a little tired of palace intrigues dramas, but I’ll check this out for the cast. Speaking of Andy, looks like there’s some news about Max Mok pestering Katherine Hung over their son (which he neglected for years)? What the what? Max Mok is a disgrace. Such a shame since he was a fabulous actor!! Andy has been a good dad to his kids. I think Max was sick and tired of the public criticizing him so he posted an old photo of him holding his baby son. He tagged Catherine in it and asked her if she was telling the truth about him neglecting their son. Looks like a huge mess but who’s to say what the truth is except for the both of them, right? But it’s a shame that he had to bring Catherine down with him and their son.